In fact, Great Lakes sailors have been racing to Bermuda for almost as long as there’s been a race, with a crew from Lake Erie’s Rochester Yacht Club chartering a Gloucester schooner to take part in the second running of the event in 1907. Soon thereafter, in 1910, Demarest Lloyd, a sailor with Chicago newspaper roots, raced the schooner Shlyessa with Mrs. Lloyd in the afterguard, making her only the second woman to take part in the event. 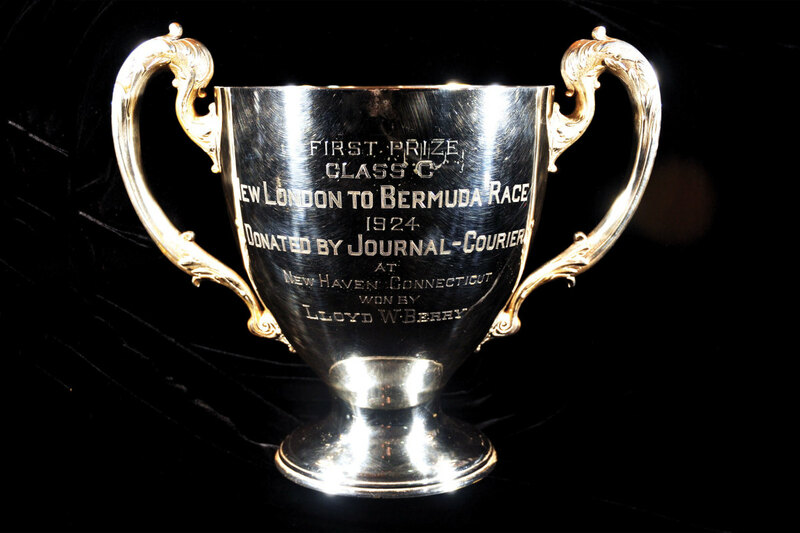 In 1924 a crew from Detroit’s Bayview Yacht Club also sailed the Lloyd W. Berry to victory in the schooners and ketches division, bringing a trophy back to the Midwest that then served as a prize in the Bayview-Mackinac Race, which they created soon afterward. More recently, a regional prize for the best performance by a Great Lakes boat was introduced in 2014, with the inaugural honors going to Chris Van Tol of the Bayview Yacht Club aboard his C&C 35 Eliminator. And with no fewer than 16 Lakes boats having taken part in the race between 2010 and 2014, it’s a safe bet they aren’t the last. For more on this summer’s Newport-Bermuda Race, which is organized by the Cruising Club of America and the Royal Bermuda Yacht Club and starts on June 17. Based on an article originally published on the Newport Bermuda Race website,bermudarace.com.